Fully funded PhD studentships in Interfaces / Boundary Resources / Digital Ecosystems / Cloud Computing. I am part of my large research grant with UCL, QMUL and Imperial (https://binaryblurring.com/2017/12/04/win-of-6-million-to-research-digital-interfacing/ ) titled “Interfaces Reasoning for Interacting Systems. While the advertisement focuses on computer science issues, the final bullet point “Tools for modelling and reasoning about organizational architecture” directly relates to Information Systems and Digital Innovation areas. Essentially if you would like to undertake a funded PhD focused on the managerial, social and organisational impact of Digital Interfacing (e.g. Digital ecosystems, Cloud Computing, Platforms, Boundary Resources, APIs,) please apply! While the advert insists on computer science or mathematics degrees – for those seeking to work with me a strong Information Systems Masters, or First-Class Degree in a related discipline would be sufficient. [Note the PhD may need to be based at UCL while supervised by myself with Prof. David Pym as joint supervisor. The starting stipend will be approximately £17,000, with an approximate annual uplift of 3%. ]. It is possible that the studentship would be supported by AWS (Amazon) and involve working with AWS (Amazon), BT or Facebook among others . Please apply ASAP as we are looking to recruit very very soon! Applications need only be a couple of pages long. Innovation can transform the world. So how can it be encouraged and nurtured? Sofia Klapp, studying my course in “Innovating Organizational Information Technology” for her MSc Management of Information Systems and Digital Innovation (MISDI), reveals how our Sprint Week concept challenged her and her fellow classmates to generate, develop and pitch genuinely groundbreaking ideas. It was Monday morning, and 18 multidisciplinary teams were assembled at their desks. It was the beginning of the Sprint Week. We all had our materials ready (post-its, tape, markers, cardboards, and one big whiteboard) and plenty of healthy snacks to keep our energy levels high. Visa, one of the world’s leading payment brands, were explaining their global innovation challenges. From this moment until Friday afternoon, we would have to work in an “agile manner” to create an innovative digital solution to win this innovation competition. Will Venters and Carsten Sorensen, scholars on the “Innovating Organizational Information Technology” course, came up with a better use for the reading week for the MISDI Programme at LSE. Instead of just teaching about digital innovation and agile theory, why not use this week of no classes to immerse the students in a hands-on learning experience? They called it “The Sprint Week”, and this is the second year they´ve run this 5-day bootcamp. As if making Sprint Week 50 % of our course assessment wasn’t enough, to add some extra adrenaline the teachers framed it as an innovation competition. Two key partners (Visa and Roland Berger) were invited to make things even more exiting. Both would be judges and choose the best projects for the grand final on Friday. 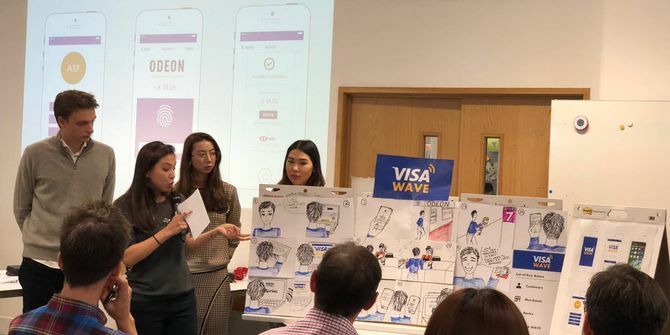 Visa shared its strategic digital challenges to inspire our innovation ideas. Trending topics like mobility, digital identity, and a cashless society, served as fuel to ignite our imaginations. At the same time, Roland Berger, a strategic consulting firm and design sprint expert, was there to support our hands-on learning process. But how did it all work? Sprint Week addresses digital innovation development by combining the best of two approaches: Design Sprint Methodology (a five-day work process for answering business questions through design, prototyping, and testing digital ideas with customers created by Google Ventures) and Soft Systems Methodology (a socio-technical approach broadly used to understand, design and intervene in information systems and digital innovation). While the first approach encouraged us to work in an agile manner as a multidisciplinary team, the second allowed us to understand the digital challenges from a systemic perspective considering their social and human implications. The Sprint Week Experience Challenges: It’s not about intellectual capacity, but about the right mind-set and team-work skills. Initially, these methodologies seemed simple. But as we moved forward we realised that putting them into practice wouldn’t be easy. For me, the biggest challenges we faced weren’t intellectual, but mostly related to how we managed uncertainty and how we interacted and communicated as a team. Whether we felt lost or on track depended on how well we managed our teamwork, triggering a roller coaster of emotions in our team throughout the week. Managing the uncertainty that every innovation process entails can be very hard. We humans seem to have a control seeking mind-set that also looks for right answers. Yet working in an agile manner is not a linear step-by-step process. The agile mind-set is about learning and discovering the answers as you go, navigating in a disciplined way the messiness of the innovation process. If you are a control freak, you will suffer a lot. A good strategy was to keep trusting the methodology, accepting uncertainty as a normal feeling during the process while being open to be suppressive by the outcomes of applying it. All the teams were highly diverse in their backgrounds and personalities. My team mates were from Indonesia, China, and the UK, whereas I´m from Chile; and their backgrounds ranged from IT-engineering, linguistic, international business, innovation and psychology. The methodology encouraged us to interact and discuss in an active and collaborative way. But it also meant dealing with disagreements among team members. We all speak English but our cultural differences and accents meant we had to focus extra hard. Getting to know each other before the Sprint Week and negotiating working styles was very important. We also ran open-heart sessions after each day gave feedback about what we liked and what we could improve for the next day. As a MISDI student with previous work experience in innovation and agile development, I did not expect to learn as much as I did. The Sprint Week has definitely been the highlight of the MISDI programme so far. Getting the opportunity to work on a real-life case challenge for a global company, with the input from industry experts, helped to link the theory I´d learned on the course with real world challenges. And the ideas and discussions it generated between team members from different backgrounds, life-experiences and nations were amazing. Honestly, I feel that in one week it made me a better team player! Moreover, seeing the teams´ project presentations on Friday was inspiring (all of them, not just the finalists). All the initiatives were so diverse and creative. They greatly exceeded my expectations: from a data monetization platform that allows individuals to gain control of and get value from their digital data, to a futuristic payment chip inserted in consumer’s hand linked to an integrated app. Even some of the social projects surprised me; there was a donations platform that streamlines the funding of NGOs for increased transparency and another that provides digital sovereign identity and financial inclusion to the unbanked population. 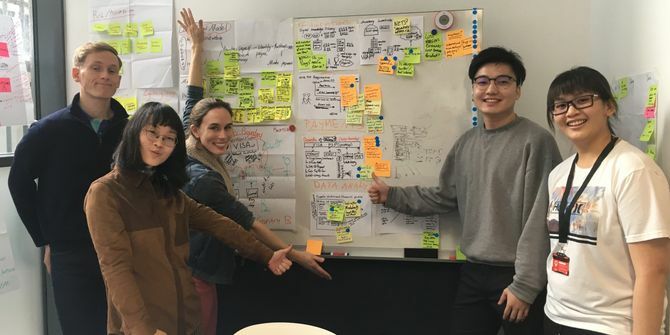 This hands-on experience helped us gain a practical understanding of breakthrough methodologies while developing the multidisciplinary team skills needed to craft digital innovations. But most importantly, this week reminded me that at LSE your classmates are one of the main sources of learning and inspiration. 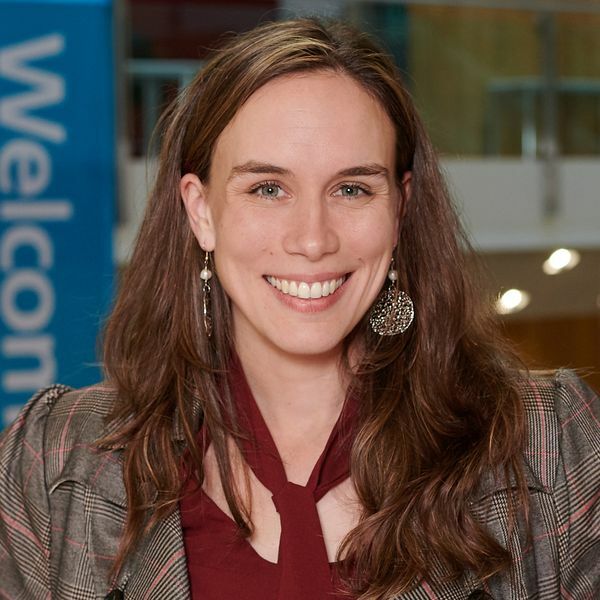 Sofia Klapp is from Chile and holds a BA in Organisational Psychology, plus diplomas in Business Management and Innovation & Entrepreneurship. Her experience in leading customer experience evaluations in technology projects in a global IT consultancy enabled her to understand the strategic complexities that digital transformation brings, encouraging her to pursue her MSc Management of Information Systems and Digital Innovation (MISDI) at LSE. It was great to be back in Cambridge last week lecturing with Dr Mark Thompson on Digital Innovation and Transformation @ Judge Business School Executive Education Programmes. My contribution was a deep dive into the digital infrastructures which are transforming our digital economy. I talked about Cloud Computing as transformational in enabling Data and Algorithms to have agency in changing business environments. Central to this transformation is Artificial Intelligence (AI) which I argued to be a means of industrialising data-analytics at scale. Through AI and cloud computing, organisations can share data across their organisational boundaries in order to derive new business benefit. For example an FMCG company might harness AI to automatically integrate data from wholesalers, distributes and retailers with complex production data, external statistics on consumer behaviour, logistics movement or meteorology. Through this integration an AI algorithm may better forecast demand fluctuations and thus reduce costs than a closed data-process. (Banner image (CC) from Rept0n1x : Used with thanks). I’m pleased to promote the newly published ISChannel journal. The journal is wholly produced by MSc and PhD students and accepts articles concerned with socio-technical issues of information systems. I am reproducing the editorial written by Sophie Altrock, this year’s associate editor. To get your free copy of the journal click here. Currently in its 13th year of publication, the iSCHANNEL team is proud to contribute yet another series of insightful research of aspiring academics, current students, and those hungry for sharing ideas and findings with the Information Systems community. Out of a wide selection of submissions this year we agreed on a great mixture of quantitative findings and theoretical explorations of topics surrounding challenges and opportunities of our digital age. Alexandra Gencheva studies friction in the context of Open Banking solutions. Using the case of an Open Banking consent journey, the author explores how users perceive friction and how these perceptions and behaviours are impacted by preferences and expectations about privacy and convenience. The analysis shows that friction is perceived as a more positive encounter by participants that value privacy while it is perceived as a more negative encounter by participants that value convenience. Pauline A. Chin, Clotilde de Maricourt, Nicolas, A. Feil, Terry L. X. Zhen, and Krittika Ray, a group of undergraduate students, explore the impact of automation in different industries looking at current and future professionals. Using a mixed method approach, the findings reveal that all participants are concerned about the automation of jobs in the near future. Students however were showing a willingness to adapt to those arising challenges by learning how to code in comparison to no willingness on the side of professionals. Findings further indicate that e.g. job security also affects concerns with the automation of jobs. Juan Felipe Forero offers an anthropological perspective on understanding the nature of digital innovation. Deploying the concept of migration, including departing, arriving and crossing borders, the author outlines how digital innovation is a product of moves, changes and different modes of travelling. Drawing from a range of anthropological concepts and contributions, the author argues that innovation emerges as a far messier and improvised process than previously thought. To an Information Systems audience, this paper presents a fascinating insight into contributions from digital anthropology and adjacent fields. Kadriann Pikkat provides an interesting analysis of filter bubbles enabled by social media platforms. Through an examination of this phenomenon, where the mechanisms exposing content to a user prioritise ideas that reinforce his or her own beliefs, she raises awareness of the ways users of these platforms may be unwittingly subjected to a narrowing subset of information disguised as personalisation. Kadriann reveals the ways these platforms may simplify and manipulate the complexities of social interaction and raises questions around how this reinforcement may shape users’ identities. Maria V. Santarelli examines from a political point of view the way users give consent within social networking sites (SNS) using Facebook as a case study. By showing the analogies between a state and Facebook, she argues that consent given on a SNS resembles John Locke’s tacit consent as derived from “take it all or take nothing” Hobson’s choice. Such “tacit online consent” goes beyond the consent given to governments, calling into question the contemporary legislative means in place. We have assembled a rich set of contributions this year and we want to thank all our authors and reviewers. Taking part in the journey from the first call for papers to the final printed journal has shown us that research is not just about counting online submissions. iSCHANNEL has brought people together, challenged reviewers to change their perspectives but, most of it all, it has offered yet another breadth of topics on all kinds of technological developments that affect us equally, now and tomorrow. When I came to the LSE a year ago, my background in digital media studies in the field of cultural science provided me with a healthy scepticism about technologies, and the way they affect our daily lives. In the past months, however, I have come to realise the opportunities and the potential of this digital landscape for individuals and businesses if only we aspire this comprehensive view. The papers selected in this volume offer rich insights into the privacy concerns in the open banking sector and perspectives on social media platforms, accompanied by explorations of the automation of jobs and the ever narrowing information flow we are exposed to online. Adding an anthropological perspective to our selection further shows us that these topics of digital innovation should not just be addressed in the field of Information Systems alone, but rather across different areas of research. With this variety of perspectives and the growing body of knowledge that we take part in, I now see that we can continue to evolve and revolutionise our technologies with the potential to bring about more of rewarding disruptions. In the name of iSCHANNEL, I am happy to have joined the team that has brought about another journal with intriguing findings and captivating thoughts. We now like to invite your reflections and challenge new ideas while reading through our 13th edition. Katharina B. Rohr, Jerome Retzlaff, and Kaitlyn Clark. Special thanks goes to our Senior Editor Marta Stelmaszak who has invested a considerable amount of time and effort to make this journal possible over the past years and Dr. Will Venters, the Faculty Editor, who has once more supported us with his academic expertise and experience. #LegoGovernment: Our manifesto for government in the age of digital disruption. Tonight I’m at the Institute for Government, where I am part of a group launching our collaboratively developed “Manifesto for Better Public Services” together with a more detailed “Green Paper”. Note: These final documents are the work of Jerry Fishenden, Mark Thompson and Will Venters. However, they draw upon valuable insights, critiques, pushback, feedback and improvements contributed by Andy Beale, Alan Brown, James Duncan, James Findlay, Sally Howes, Renate Samson and Simon Wardley. And some others who prefer to remain anonymous. We would also like to thank Liz Bennett for her skill, and patience, in turning our scribbles and jottings into something much better designed and engaging. I’m recruiting a Research Fellow in Information Systems for 3 years. Come join me at the LSE in researching the managerial, social, and organisational implications of digital interfaces! Better understanding the effective management of software interfacing is vital as companies and individuals harness new digital innovations and integrate them digitally within their processes and practices. Many digital innovations including the Internet of Things, SmartCities, Platforms and Artificial Intelligence, involve a myriad of systems owned and operated by a myriad of different companies which become tightly coupled together through their interfaces (e.g. though APIs and cloud computing). Yet little is known about how the organisations involved in such innovations define such digital interfaces, how they evolve, and in particular what organisational or management commitments are embedded within them or how new forms of organisation or technology emerge through their use. 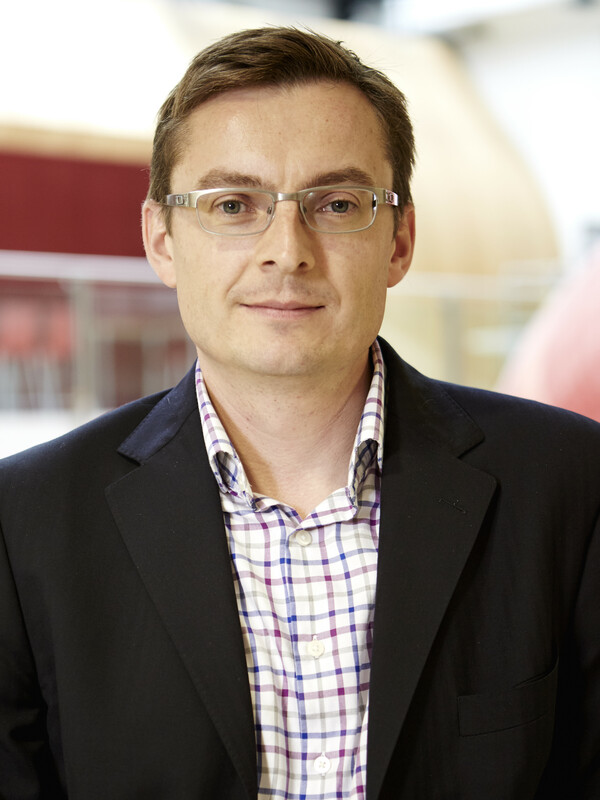 This research fellow will address such gaps by undertaking research on the organisational, managerial and social implications of digital interfaces as part of a new £6m+ EPSRC funded project: Interface Reasoning for Interacting Systems (IRIS). The IRIS project is a collaboration between University College London, Imperial College of Science, Technology and Medicine, Queen Mary, University of London, and the London School of Economics and Political Science. The project also involves corporate partners including Facebook, Amazon Web Services, BT, HP Labs and Methods Consulting. The fellow will have research experience in a relevant field such as information systems, science and technology studies, or innovation studies and must hold a completed PhD, or close to obtaining a PhD, in Information Systems or a relevant related field by the post start date. The post will be focused on producing internationally excellent publications and so clear evidence of relevant writing ability and research skills are required. The fellow is expected to actively participate across the project and externally with other researchers and corporate partners. This post offers an opportunity to gain research experience working in a prestigious, exciting, and entrepreneurial project with globally recognised institutions and IT companies with significant possibilities for networking and advancement. The closing date for receipt of applications is Wednesday 18 April (23.59 UK time). Regrettably, we are unable to accept any late applications. I am pleased to be on the programme committee of the following workshop! This workshop targets digital infrastructures in the public sector and focuses on the emergence of platforms as a distinct technological and organizational form. The platform ecosystem has emerged as a dominant technological form for global innovative organizations (Baldwin and Woodward, 2009; Tiwana, 2013). It represents the current “best practice” to deal with the complexity of digital infrastructures as well as to leverage dynamics of multi-sided markets and exploit network effects. Platforms are adaptable, scalable and extensible to many other parties and represent an alternative to an integrated collection of “silo systems”. Public sector organizations around Europe are introducing platforms as part of their digital strategies, but we still have a limited understanding of the challenges associated with establishing platforms in the public sector (Fishenden & Thompson, 2013; Brown et al., 2017). Current research has mainly addressed platforms in the commercial sector (Parker et al., 2016). While the insights from this existing research are highly relevant, there are also important areas where the digital infrastructures can be expected to differ: The technical, regulatory and organisational complexity in the public sector is much higher than for commercial platforms. Multiple different public sector organisations at different government levels are involved in information flows and data custody. The development of national and regional solutions is usually undertaken as joint endeavour between public and private actors, to stimulate socio- economic benefits and innovation, involving a diverse portfolio of systems and registers. Furthermore, the role of the citizens not as mere service recipients but as contributors and co- creators is becoming more central while security concerns, government ́s responsibility for citizens ́ privacy and citizens ́ demand for transparent use of data are rising (Linders, 2012; Nam, 2012). In addition, the business models of a public sector platform will be different (Bygstad & D’Silva, 2015). The network effects of platform ecosystems (i.e. the self-reinforcing process where more customers trigger more suppliers, which attracts more customers, and so on) may be facilitated in public sector platforms but towards different aims than the ones found in market situation. Monetising network effects is not a key interest for public sector platforms but rather, leveraging network effects for mobilising more resources from inside and outside public organisations and triggering decentralised innovation is a key interest (Vassilakopoulou et al., 2017). Network effects that can contribute to better synergizing rather than competing are of interest in the public sector domain and need to be better understood. We seek to contribute to the research as indicated above, and to formulate insights on how public sector platform and surrounding ecosystems develop, can be studied, designed, and theorized. In parallel with the consideration of this proposal we have anitiated an application to a relevant IS journal for a special issue on the topic of platforms in the public sector. The workshop aims to attract researchers and practitioners who are interested in the topics of digital infrastructures, public sector, platform ecosystems and e-government. In the workshop, participants will share their knowledge about cases of public sector platforms and digital infrastructures. We want to reach out in order to establish a community of researchers that can cooperate beyond the event itself. We seek to build on and extend the efforts of an ongoing, but not yet formalized, collaborative network of European researchers. Call opens: 22nd of January. Authors are invited to submit short papers, not exceeding seven pages (including all figures, tables and references.) using the ECIS Research In Progress template. Submission Deadline: April 4th, 2018. Articles are submitted via e-mail. Notification to Authors: May 4th, 2018. Baldwin, C., and Woodard, C. J. 2009. “The Architecture of Platforms: A Unified View,” in Platforms, Markets and Innovation, A. Gawer (ed.). Cheltenham: Edward Elgar. Brown, A., Fishenden, J., Thompson, M., & Venters, W. (2017). Appraising the impact and role of platform models and Government as a Platform (GaaP) in UK Government public service reform: towards a Platform Assessment Framework (PAF). Government Information Quarterly. Bygstad, B., & D’Silva, F. (2015). Government as a platform: a historical and architectural analysis. In NOKOBIT (Norsk konferanse for organisasjoners bruk av IT), 2015. Fishenden, J and Thompson, M. (2013), Digital government, open architecture, and innovation: why public sector IT will never be the same again, Journal of public administration research and theory, 23 (4), 977-1004. Linders, D. (2012), From E-Government to We-Government: Defining a Typology for Citizen Coproduction in the Age of Social Media, Government Information Quarterly, 29 (4), 446-454. Nam, T. (2012), Suggesting frameworks of citizen-sourcing via Government 2.0, Government Information Quarterly, 29 (1), 12-20. Parker, G. G., Van Alstyne, M. W., & Choudary, S. P. (2016). Platform revolution. How networked markets are transforming the economy and how to make them work for you. WW Norton & Company. Tiwana, A. (2013), Platform ecosystems: aligning architecture, governance, and strategy. Morgan Kaufmann Publishers. Vassilakopoulou P., Grisot M., Jensen TB., Sellberg N., Eltes J., Thorseng AA, and Aanestad M. (2017) Building National eHealth Platforms: the Challenge of Inclusiveness, Thirty Eighth International Conference on Information Systems, ICIS 2017, South Korea.